Tenby is a delightful little harbour town and seaside resort, and it would be difficult to find a setting more picturesque. Many of the hotels in Tenby overlook some of Pembrokeshire's beautiful beaches and the town itself is home to many restaurants, shops, cafes and pubs all linked by cobbled streets. Tenby's hilltop position led to its early settlement as a Welsh stronghold, which was replaced in medieval times by a Norman Castle and walled town. Part of the town walls survive to this day and are an attractive feature at the entrance to the old town. Until quite recently Tenby was known as "Little England beyond Wales" and the town remains a rather anglicised part of Wales. 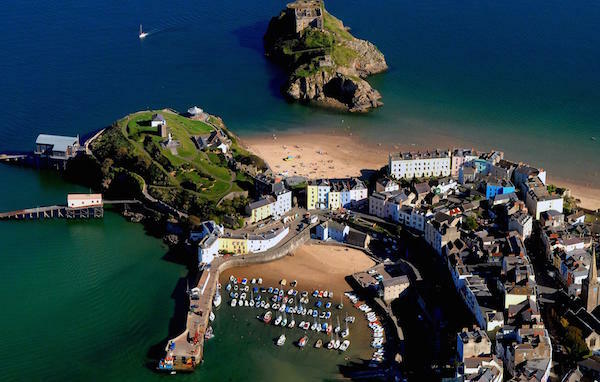 From the early 19th century, Tenby became a fashionable holiday destination for both the Welsh and the English, and its attractions to the holidaymaker are just as obvious today, with the fantastic beaches stretching to the north, the west, and the south of the town. Walk along Tenby’s South Beach toward Giltar Point and the start of the Pembrokeshire Coastal Path for fantastic views of Caldey Island. Stroll the narrow cobbled streets of Tenby itself or sit in one of the many cafes and people-watch other visitors to the gift shops, restaurants and public houses, or wander along the harbour, where you can board one of the cruises to nearby Caldey Island, or take a trip in search of the plentiful wildlife of this South West coast of Wales. 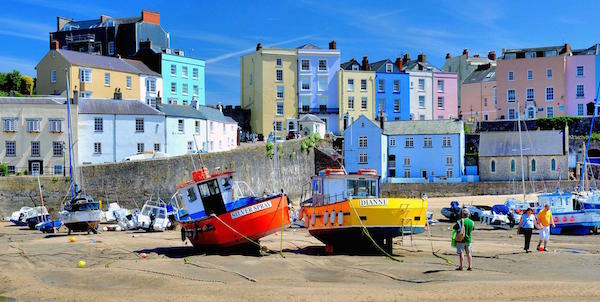 Tenby can be a serene, attractive destination sure to charm you, and those in search of spending time by the beach are spoilt for choice here, but Tenby can also offer plenty to do for the more active holidaymakers. Tenby is perfect for everyone, both young and old, with or without children. There is something for everyone to enjoy. Tenby is a place that is very dear to my heart and always will be. It has an endearing timeless appeal that lures people back year after year, generation after generation and seems to remain as lovely as it always has been. Exciting news - the brand new Premier Inn in Tenby is now open! Copyright © 2019 Tenby Visitor Guide. All Rights Reserved. Also see the Tenby Forum. Product Review Website . great weight loss guide at www.beautyintensified.com . casino malaysia . https://poker350.com . http://revolyn-ketoburn.bplaced.net/ . Nasiol water repellent coating goods.